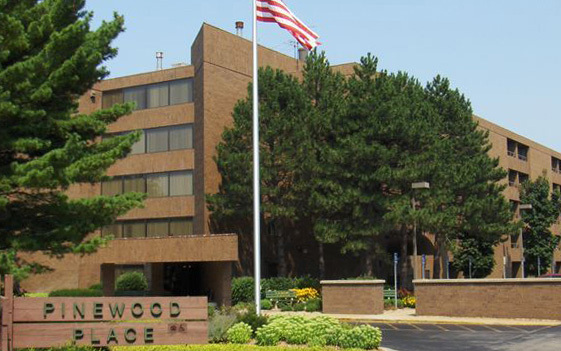 Pinewood Place – Sidock Group Inc.
Project Size: 101 Units / 83,000 sq. ft.
5 story senior housing facility. The MSHDA funded project included a barber/beauty shop, laundry rooms and social areas on each floor, a community room on the first floor, arts and crafts room, library, and maintenance shop. The all masonry structure has pre-cast concrete plank roof and floors for superior sound and fire separation between units. Our services required overcoming neighborhood resistance to senior housing and to five story buildings, resulting in City Zoning Code revision to allow such projects.